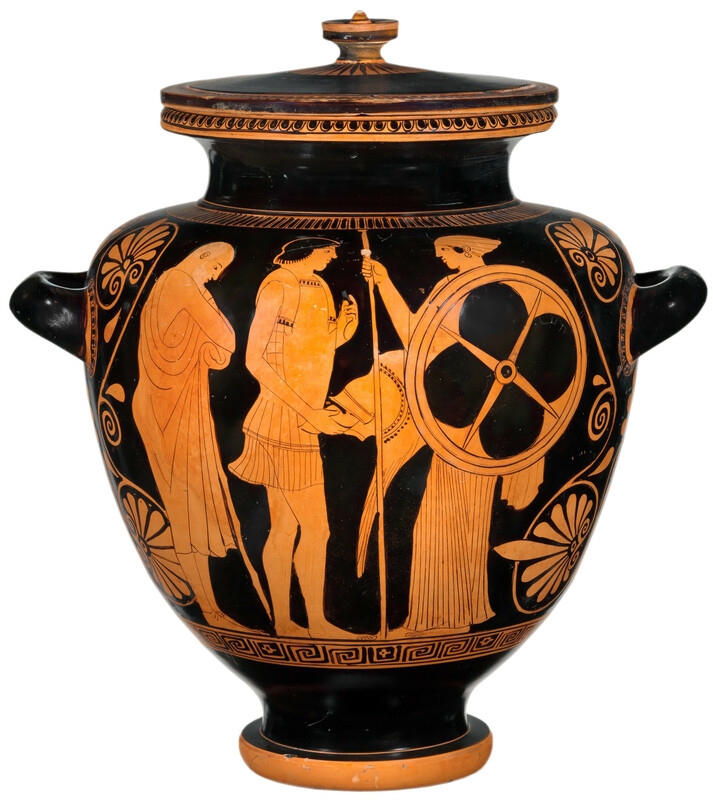 Thetis delivering armor to Achilles newly forged by Hephaistos. Red-Figure Stamnos by the Deepdene Painter, ca. 470-460 BCE.